Every new project (or career or relationship) starts out exciting and fun. Then it gets harder and less fun, until it hits a low point - really hard, really not fun. At this point you might be in a Dip, which will get better if you keep pushing, or a Cul-de-Sac, which will never get better no matter how hard you try. The hard part is knowing the difference and acting on it. According to marketing guru and best-selling author Seth Godin, what sets successful entrepreneurs (and pop stars and weight lifters and car salesmen) apart from everyone else is their ability to give up on Cul-de-Sacs while staying motivated in Dips. Winners quit fast, quit often and quit without guilt - until they commit to beating the right Dip for the right reasons. You'll never be number one at anything without picking your shots very carefully. 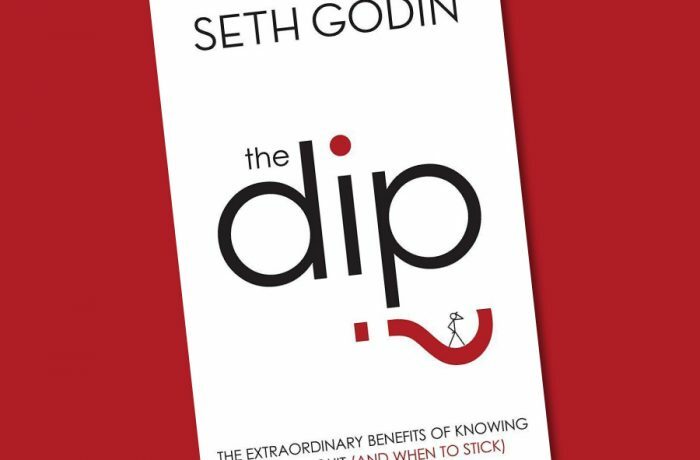 The Dip is a short, entertaining book that helps you do just that. It will forever alter the way you think about success.